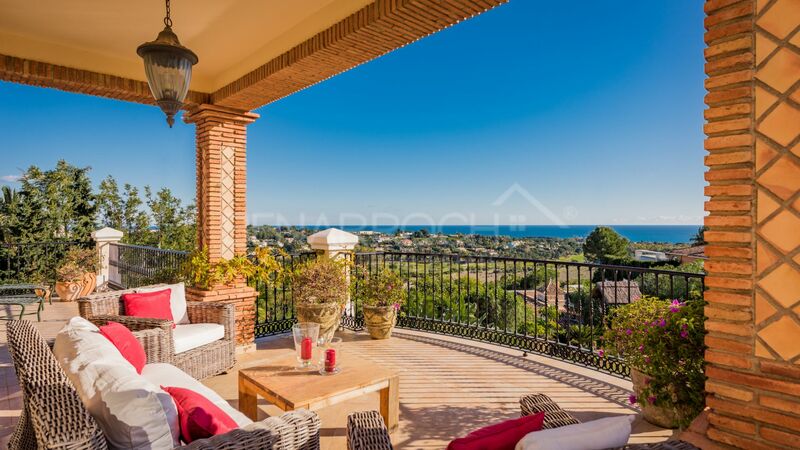 please send me more information about ref 208-01335P, Villa in Paraiso Alto, Benahavis or similar properties. 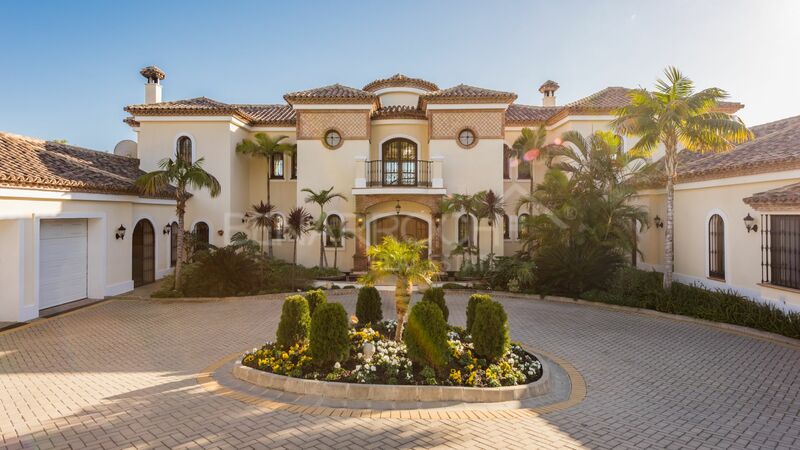 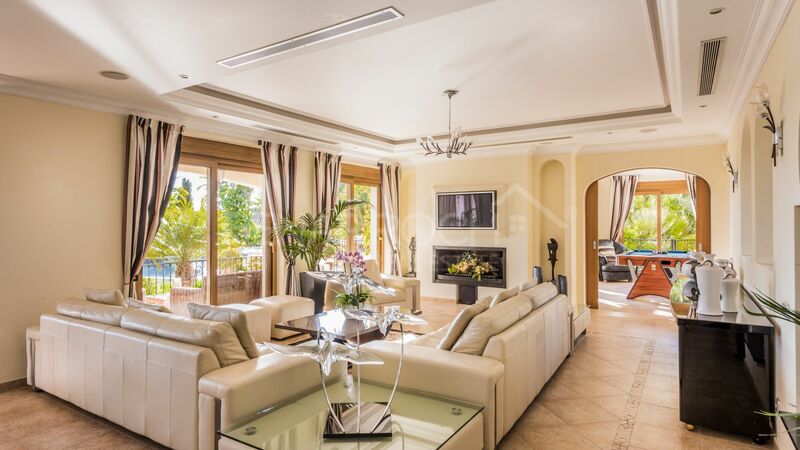 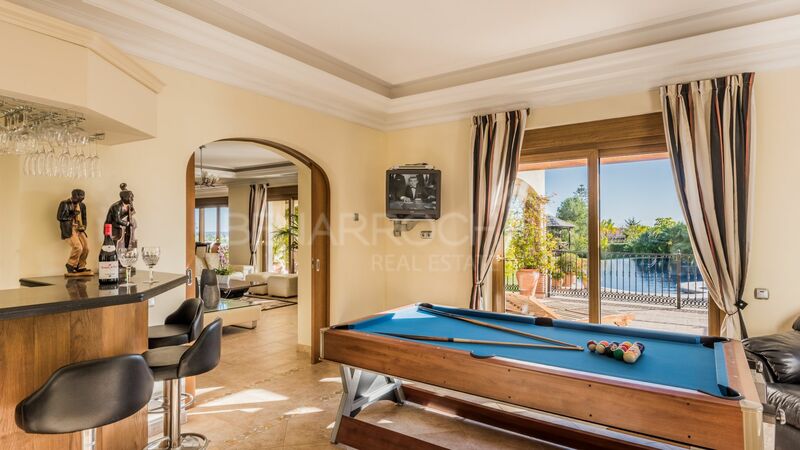 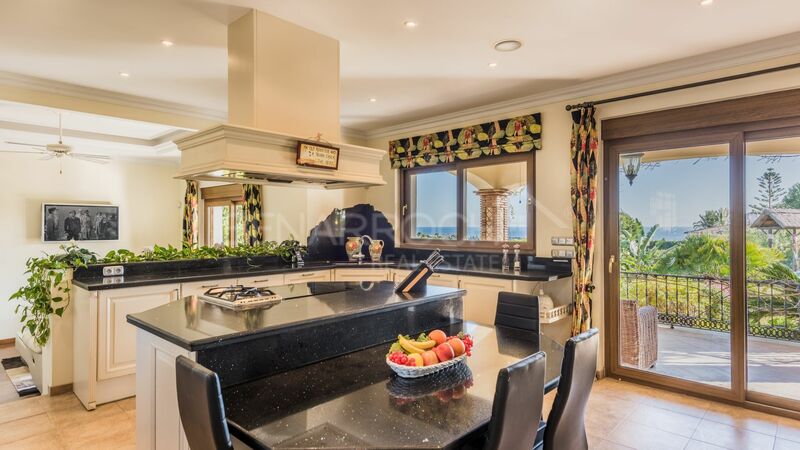 Beautiful villa built in 2008 in Mediterranean and family style with wonderful panoramic views over the golf, the coast, the sea and Africa, located in El Paraiso Alto, Benahavis. 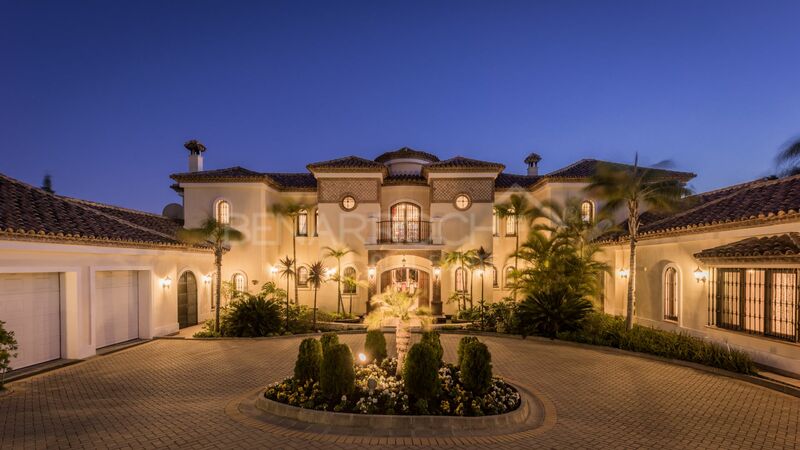 Through a nice access road with a roundabout in the center we access the property. 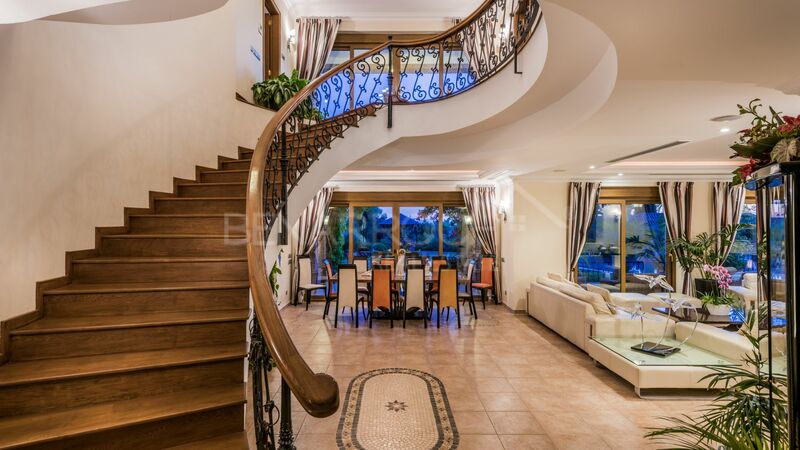 Inside, the house is distributed in two levels. 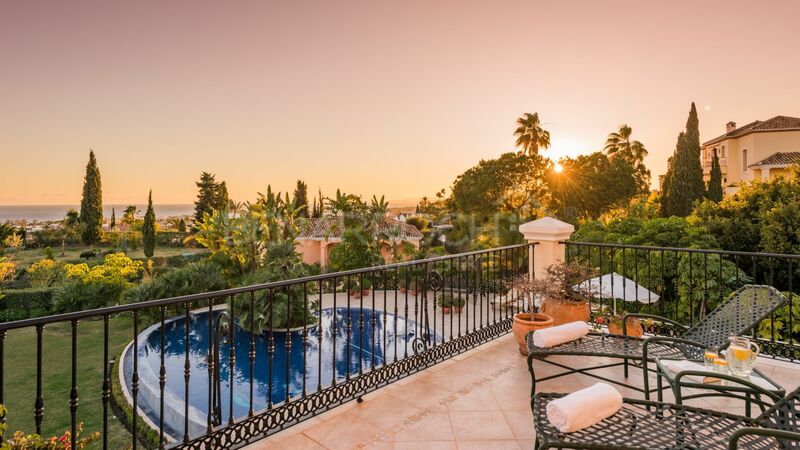 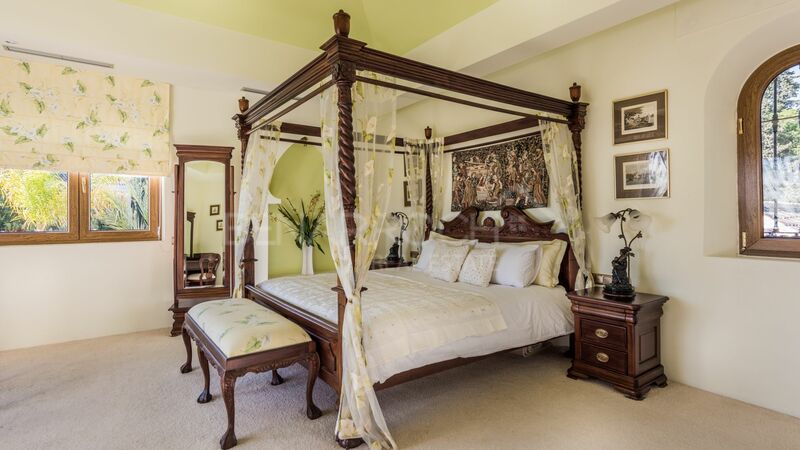 On the main floor there is a large entrance hall, a guest toilet, lounge-dining room, kitchen with access to a sunny breakfast terrace, service bedroom with separate entrance, games room, Turkish bath and two en-suite bedrooms. 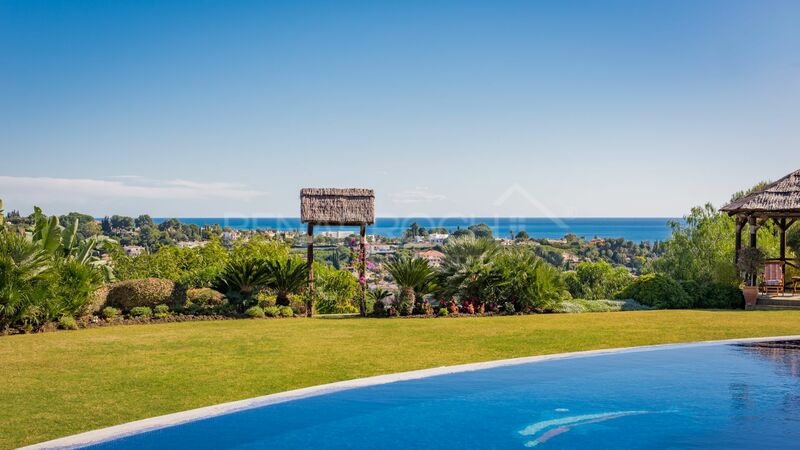 From this level, there is access to the gorgeous maintained gardens of the house with a beautiful gazebo, a toilet and a wonderful beach style infinity pool with jacuzzi. 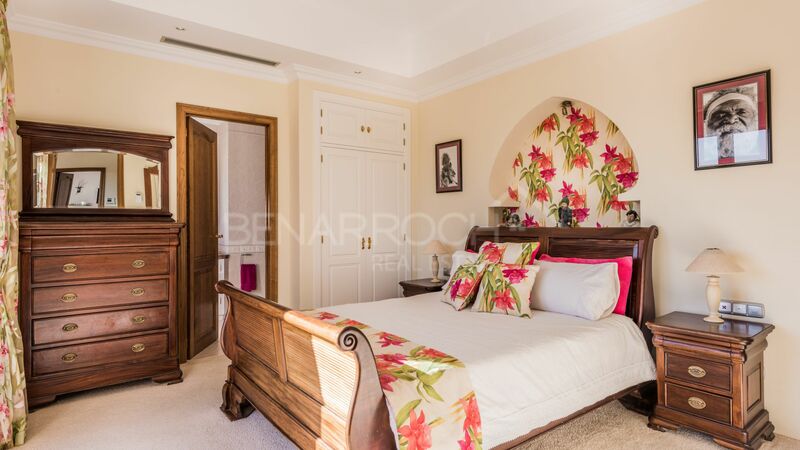 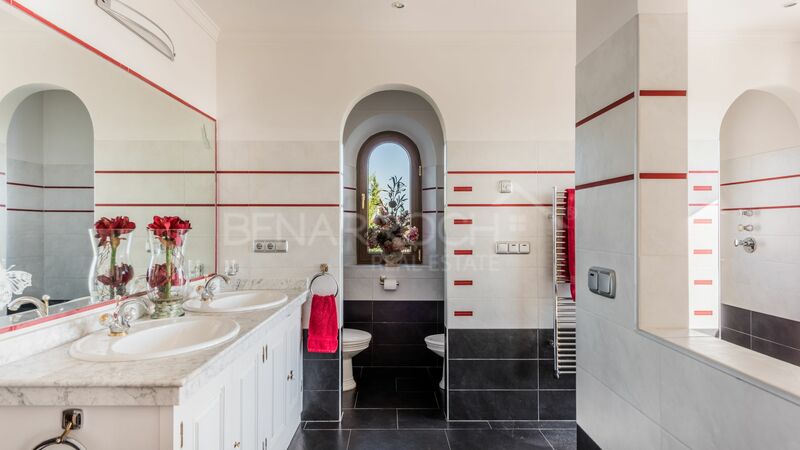 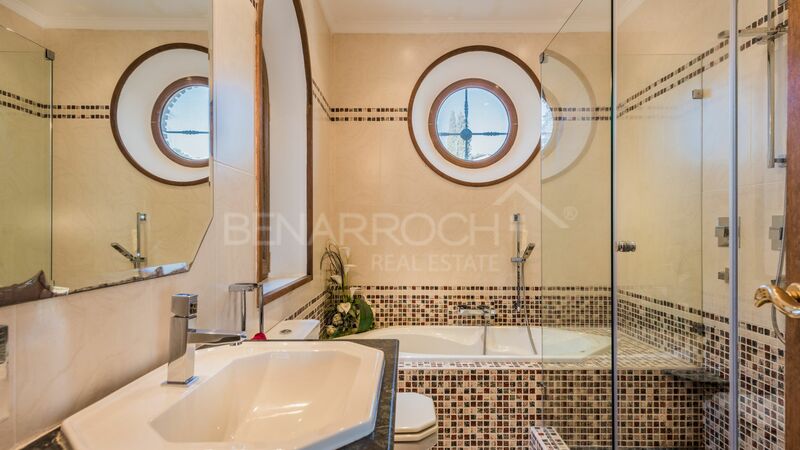 On the top floor of the house, there is a small office, two en-suite bedrooms and a large master suite with jacuzzi, a spacious dressing room and a amazing terrace with breathtaking panoramic views. 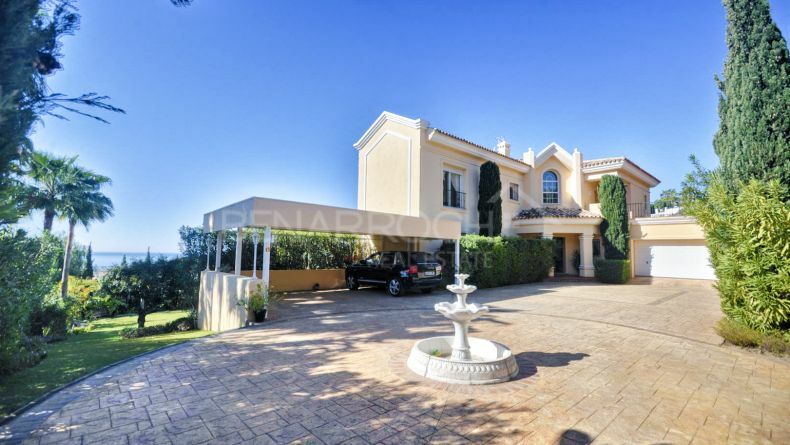 Closed garage for two cars and guest parking area for several more vehicles. 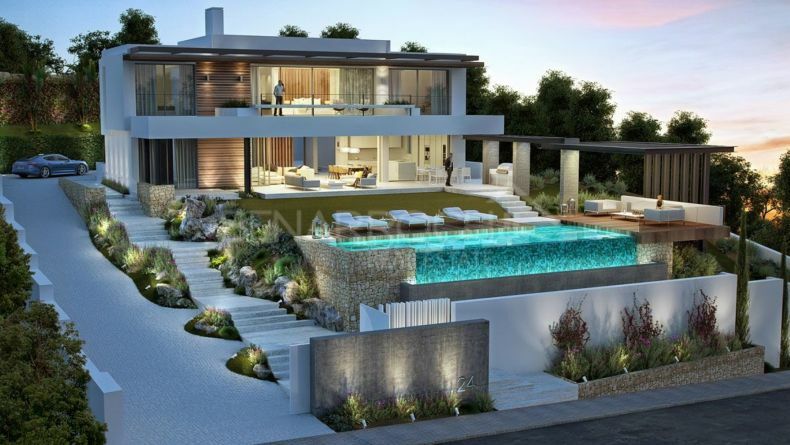 Excellent orientation, hot water by solar panels and underfloor heating throughout the house are details that give the house a great energy efficiency. 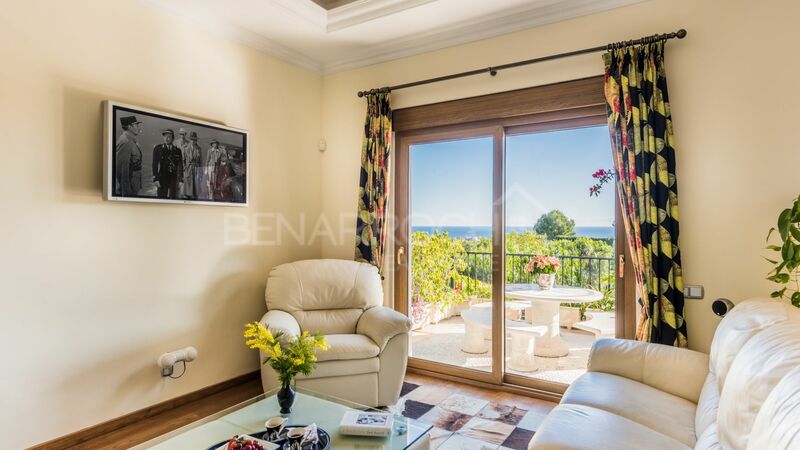 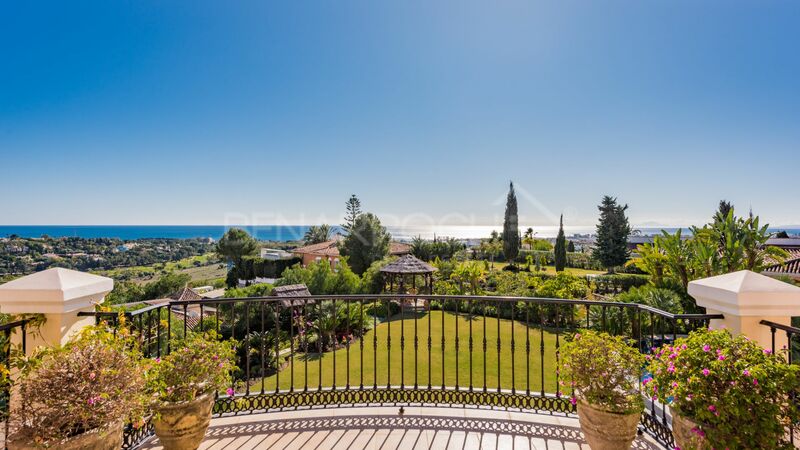 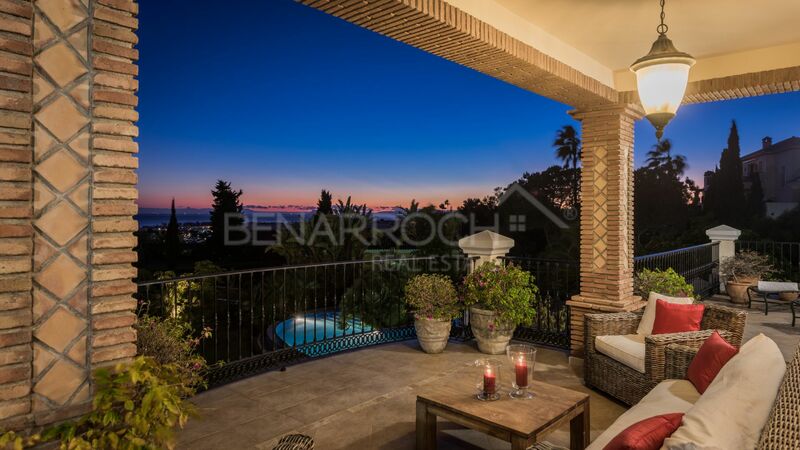 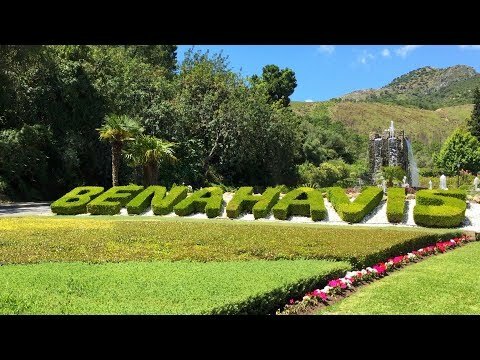 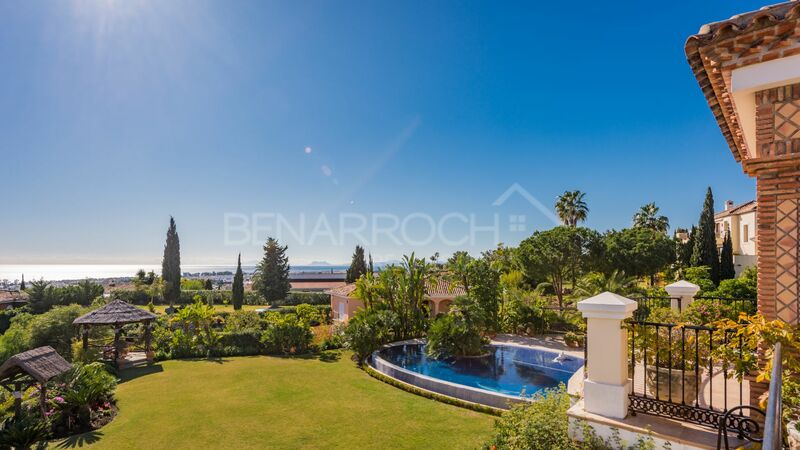 The property is very private and enjoys one of the best views of El Paraiso, Benahavís. 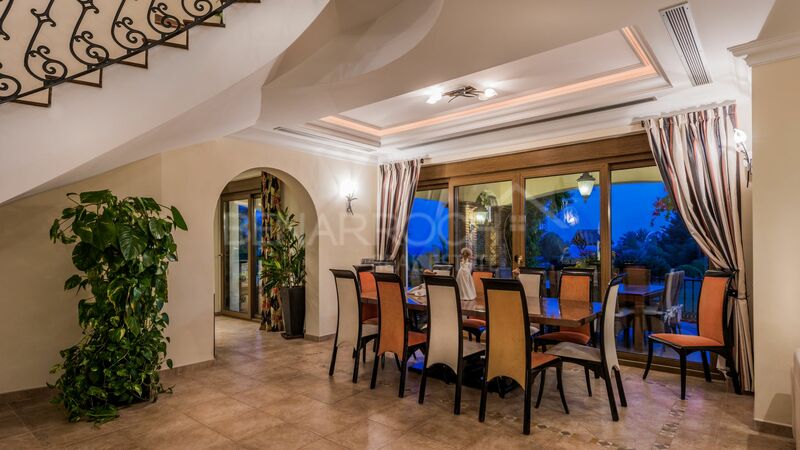 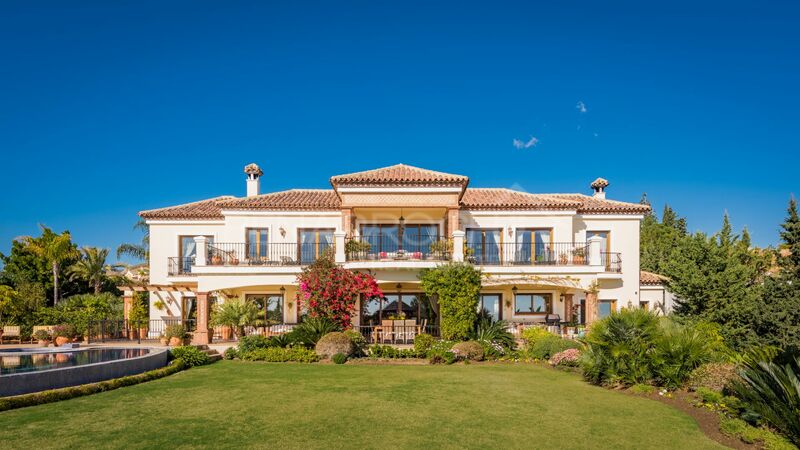 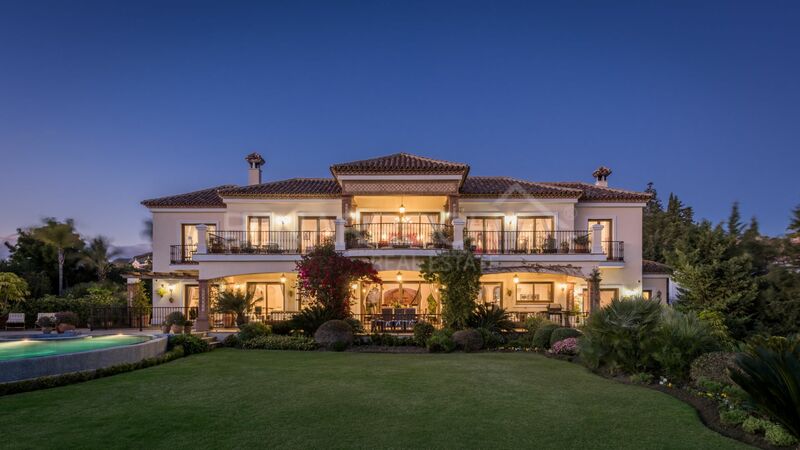 Luxurious villa in Los Flamingos Golf close to all amenities, with spectacular views, privacy and security.